Two possible possible solutions to the challenge problem appear below. They are zipped NetBeans project folders. This project requires you to have configured a JDBC resource named jdbc/aip. This project requires that you have configured a JMS Destination Resource named jms/aip of type javax.jms.Queue. You can do this from the administration console. 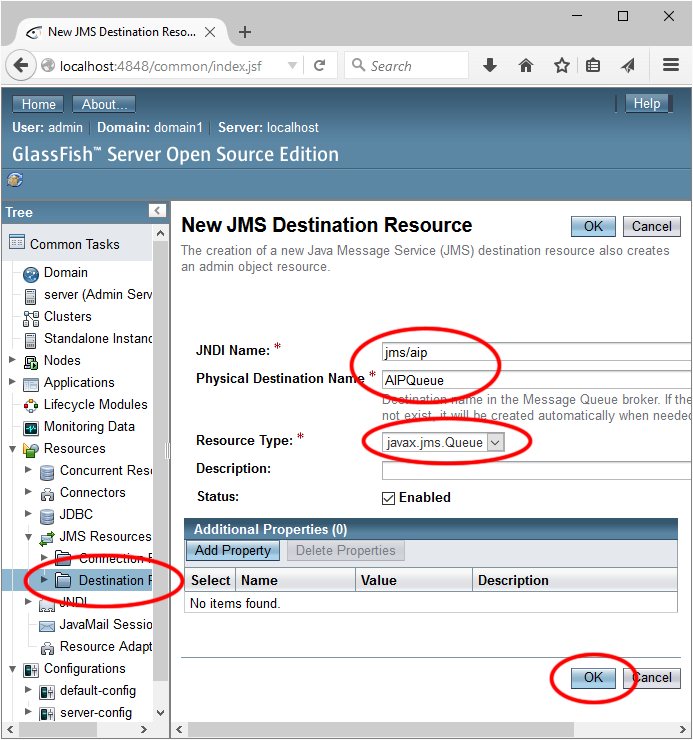 In JMS Resources, go to Destination Resources and add a New resource. Refer to the image below for configuration.